First post of 2012! I thought I was going to miss today, which would not be such a great way to start the year, but last night in the wee hours I finally made myself sit and paint. My husband pointed out that the style of this one looks a lot like comic book illustrations. 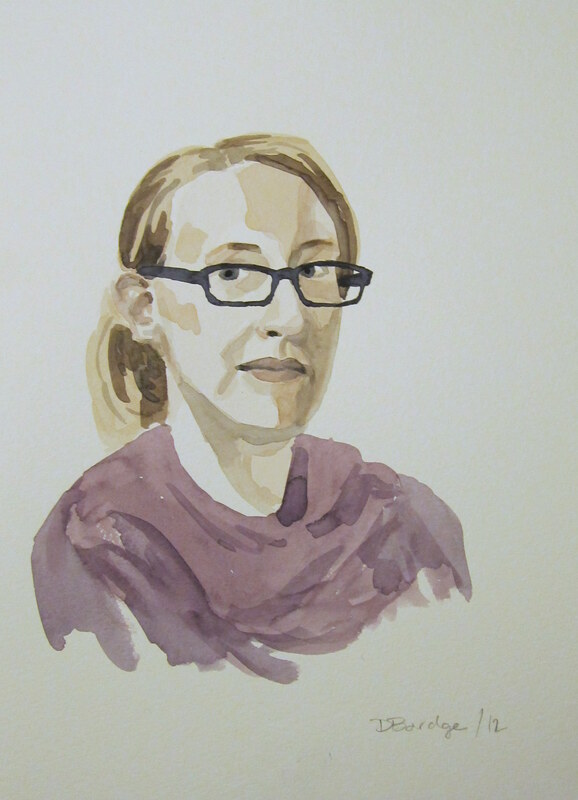 I guess it’s hard not to make a watercolour portrait life-study look comic-bookish. That is, if you want to keep the graphic quality of the paint pooling which seems to be much of the point to watercolour. For me anyway. ← Watercolour Wednesday — Blue and silver Christmas ornaments…for New Years! Hmmmmm, I like this one! The simple colour blocking of watercolours is very effective. Looks great! I like this one too, the colours are soft. Nice job!